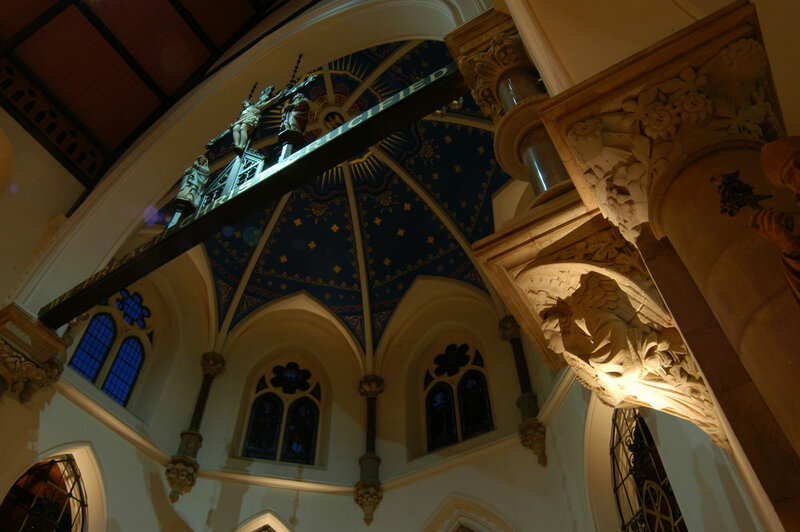 In 1999 Kevan Shaw Lighting Design completed an exterior lighting scheme for St Mungo’s which was funded by the Church Floodlighting Trust. In 2002 when further grant money became available a comprehensive building programme was devised. 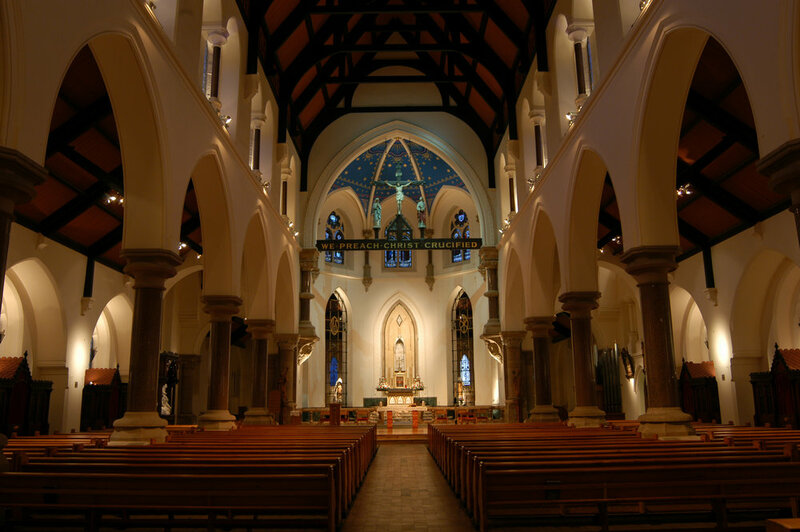 KSLD’s lighting design brief was to create a scheme that would provide not only general illumination but would also play a central role in the overall drama and religious experience of the Mass. 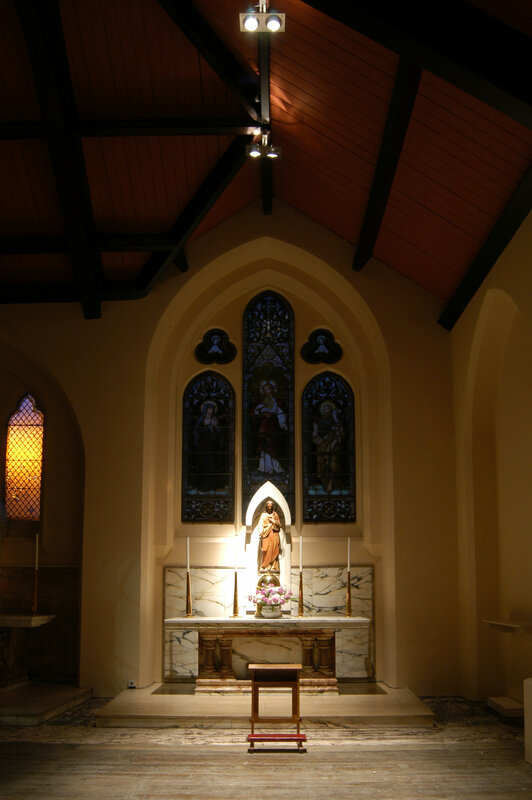 There were also specific requirements such as the lighting of the Eucharist which is displayed on the altar during Lent.